Available in mixed colour bunches which may have a combination of many colors. Sizes measured from top of flower head to bottom of stem. CLICK here for color slideshow of just a few of our incredible colors available in our fresh cut flower fragrant roses. From Wedding white & ivory color rose flowers to showstopping color combinations with old fashioned traditional to classic style bouquet roses. Payment must be cleared before orders can be dispatched. See care for your roses for images of opening stages of our fragrant cut flower roses. We supply fresh cut flower roses to the mid north coast in bulk, wholesale and retail direct to the public. 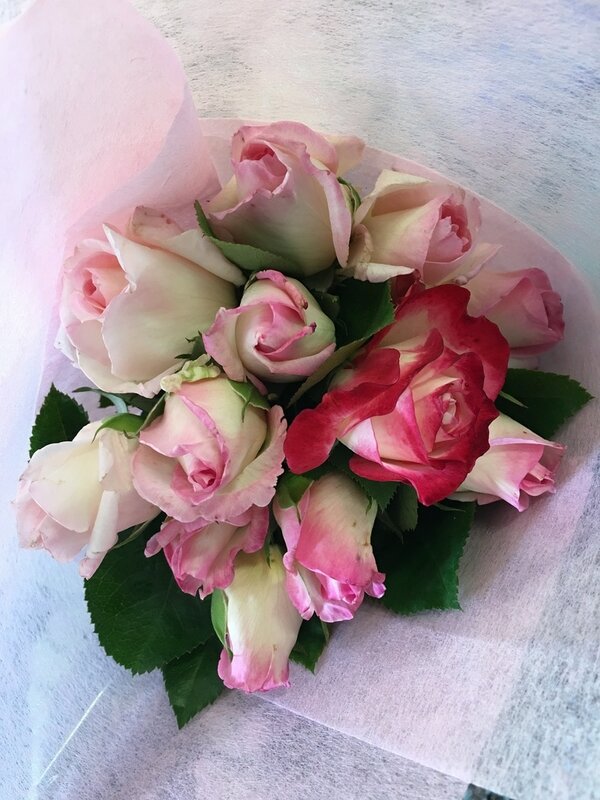 Roses naturally supply stunning discounted rose flowers for weddings, funerals, all occasions as well as our hundreds of weekly regular customers, in all colors from stunning white and cream weddings to vibrant orange and hot pinks stripes. Because our wedding rose flowers are so cheap, anyone can buy bulk discount fresh flowers from our Coffs Growers Market direct from the grower.